Get the missing features for Gmail or Outlook. 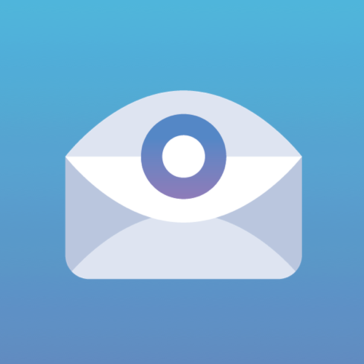 250,000 professionals use Cirrus Insight in Gmail or Outlook to track email and attachment opens, create personalized email templates, send email drip campaigns, set follow-up reminders, and schedule three times more meetings with customers. Cirrus Insight also offers world-class Salesforce integration. We get it. You work in your inbox to connect with customers. You need all the tools to close a deal in one place. Connect with leads, set up warming campaigns, schedule meetings and track attachments all from your inbox. With our Salesforce api, there’s no more leaving your inbox to log information into Salesforce. No one likes busy work. Which is why you don’t login to Salesforce or keep it up to date. You’re staying busy talking with customers and closing deals. 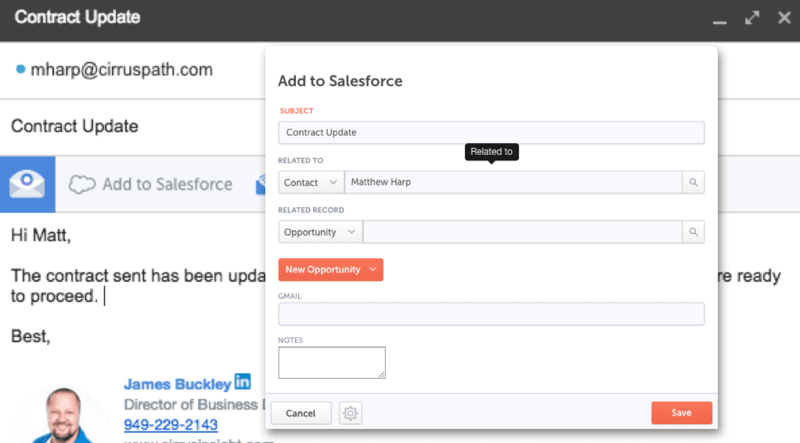 Now you can see and update Salesforce as you work. 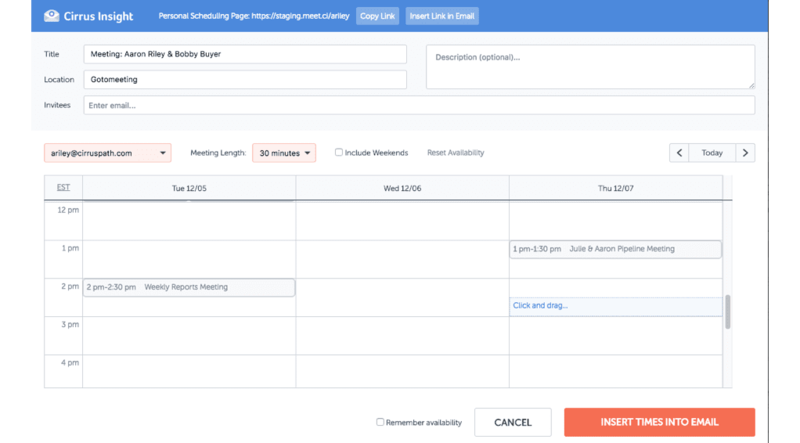 Regardless of which email client you use, you can automatically sync emails and appointments to Salesforce, track email opens, set follow up reminders, create and update Salesforce records like leads, contacts, and opportunities, schedule sales calls, and more. 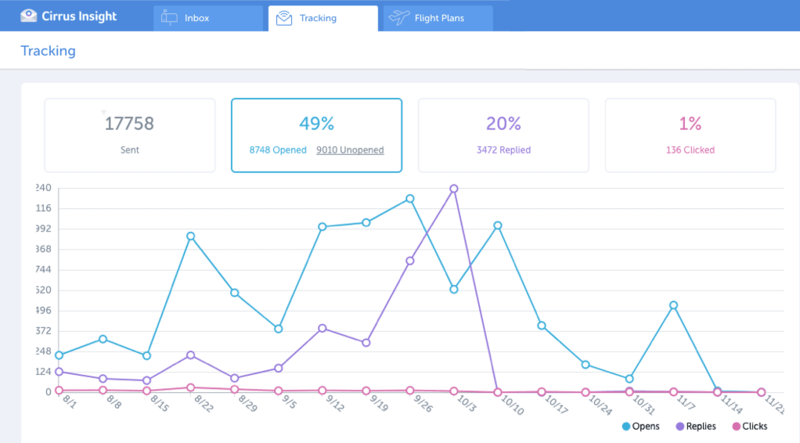 Flight Plans is the premier solution for building personalized outreach communications at scale. Build a timeline of emails, calls, and to-do items for your Flight Plan, then add prospects to the campaign that’s the best fit for them. As prospects travel on their customer journey, you respond to their emails, make real calls, and create a relationship. We’ll be there for you every step of the way so that you get the most out of the Cirrus Insight platform by providing the type of service that has earned us over 1,000 five star reviews on the Salesforce AppExchange. Try Cirrus Insight free for 14 days. For the past 5 years, we've been fortunate enough to work with almost 4,000 organizations with 250,000 users. They've left us 1,500+ kind reviews on the AppExchange, many of which reflect on their onboarding experience. In short, we truly believe that our time-tested technology and customer support separate us from competitors. Don't take it from us though, see for yourself what people are saying on the Salesforce AppExchange. Hi there! Are you looking to implement a solution like Cirrus?